Is the Hebrew Home Redevelopment Project Still On? You Betcha! | Park View, D.C. This entry was posted on January 18, 2019 at 7:01 am and is filed under Development, Historic Landmarks, Housing. You can subscribe via RSS 2.0 feed to this post's comments. I hope they create a new space to give local teens the ability to break into an abandoned building and spray paint obscenities. It’s too bad home owners don’t share your enthusiasm. 200 units dumped into the middle of a neighborhood. Politicians sold out to activists and ignored residents. I agree, and I’m not just one of those local homeowners, but I opposed this developer and this design. I’m also still livid at the organization that ambushed our local meetings for months with paid staff who called themselves local residents who have all VANISHED from the ANC and related local political meetings – plus their leader in office. Still – something had to go there and this was not the worst project that was described. They’ve shown SOME willingness to make (minor) changes based on the impact to our neighborhood. Unless something drastic changes, this is what and who we are going to live with – may as well find constructive ways to make the best of it. I just hope they at least build out the sidewalks, streets, street lights and pedestrian safety aspects once complete. No one seemed to care about existing residents. This was all pushed by far-left paid activists and commissioners. There is long time, robust illegal drug market around the corner. It’s be nice if the elected leaders cared as much about the drug dealing as they did about this project. I own a house a block away and welcome this development, as the city needs more affordable housing and more housing period. This site is a few min walk from a metro station with two lines and multiple major bus lines. But the nimby narrative about paid activists and ignoring residents is pretty funny, so thanks for that. At the meetings I attended regarding this development, I saw plenty of residents on both sides. I certainly do agree it would be nice if something would be done about the open drug dealing in the area, however. I live .5 blocks away and I disagree with your portrayal of the narrative. We saw the paid activists, and even followed their live video feeds as they called out from the ANC and special meetings at the rec center. We saw them drive and van-pooled in. We looked up their online profiles and saw who they worked for and read their brags about pushing their companies and associates. All locals who attended supported affordable housing and CoHi and Petworth have more resources than much of the city. That’s not NIMBY – quite the opposite The issue was more “warehousing the poor” by making a massive pit of tiny apts. vs. houses where families could live and work – plus the impact of getting that many more people in a residential area vs. on a major throughfare like nearby GA Ave or NH Ave properties. The issue was 50 parking spots for 200+ units when, while metro is great if you have a white-collar job in DuPont Circle or a government building, if you work service industry late at night or construction early in the AM that metro isn’t working – the odd reality is working poor usually need multiple cars. So that’s just being more realistic about the project vs. falling for that special interests conglomerate. The open air 10th activity is down a bit since those shootings and arrests this summer. we support affordable housing, just not this project. but really, we do support affordable housing. so much that we think we should add 200 more parking spots to this project, each of which costs $60k to build. because we support affordable housing so much. really, we support affordable housing so much that when we call a project “a massive pit of tiny apts.”, it’s out of love. not a nimby – I’ll make this easy for you. I’m a neighbor who doesn’t support this project, and who doesn’t support any additional affordable housing in the neighborhood. We have enough already. Let Ward 3 build a bunch of projects and deal with the drug dealing and disfunction that comes along. 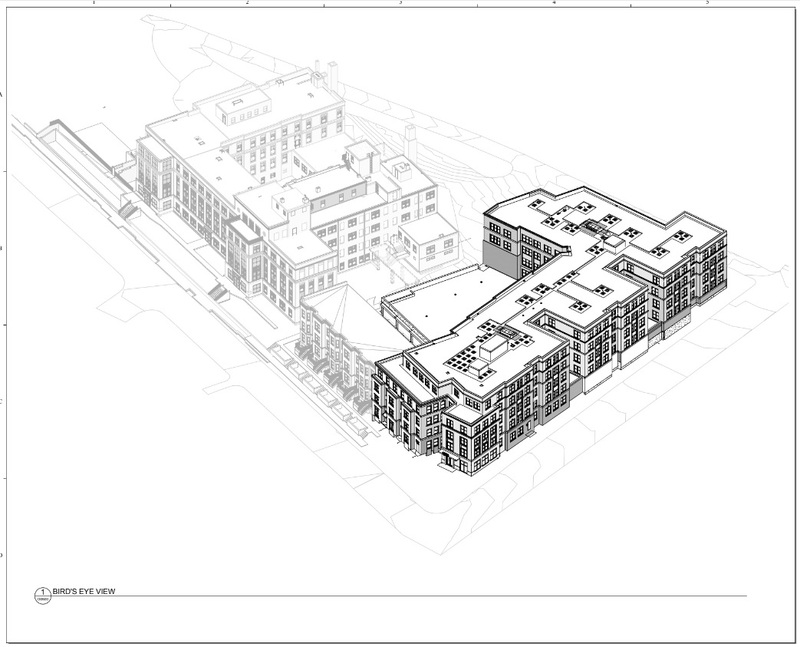 Is it really still 187 residential units through a mix of townhomes and apartments? I thought they cut all the townhomes (now condos, I think?) and increased the total number of units in the most recent iteration of the plans.